Notes: For all of the team and alternates (along with Senior cadet coaches) – be prepared to be out in the elements! New Cadets: Dress pants or nice jeans that are clean and not ripped; dress shirt or a collared shirt. Please make sure your hair, males and females, is up to standard. Cadets who arrive at 1830 (6:30) or later will be marked late. Make sure to have supper before coming to cadets to mitigate the cadet fainting on the parade square. Level 4s have their Aviation Evaluation on Wednesday so come prepared for that as it is essential you pass this evaluation to advance training levels. All parents are welcome, please join us. 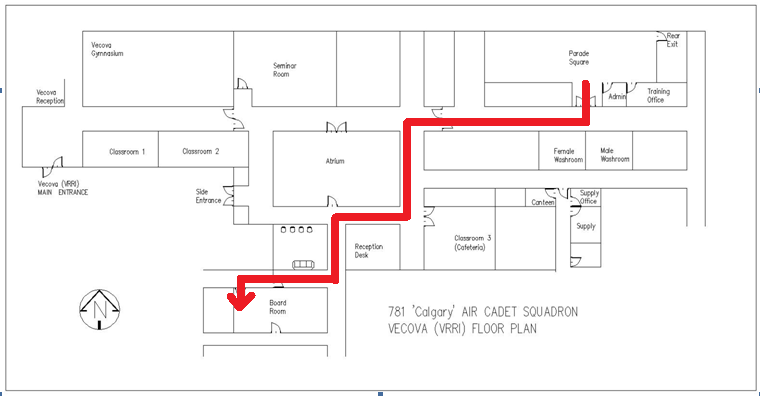 Wednesday May 4 – Level 4 Aviation Exam – Remember to prepare for this exam, it is essential to pass it to progress in your level. Saturday May 7 – Music Level Testing – For all of the cadets in the band along with the others who applied to attend. You will be excused from the Orienteering event. Wednesday June 6 – Annual Ceremonial Review – This is the end of the year show that the cadets put a lot of work toward all year – and give us a chance to recognize their accomplishments! More information to come. Saturday June 11 – Annual Banquet – Sign up for this event by the end of April with OCdt Holmes. $10 for cadets, $20 for parents – Sign up is required to ensure we order enough food.